Nine-inch bendable lyre with plastic clamp. Bending requires pliers or a clamp of some sort. Flip folder sold separately. 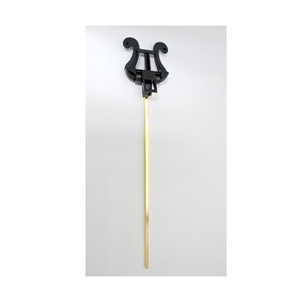 Please note: This lyre has a thin shaft that will not work with Yamaha instruments.